Celebrate the first Christmas with a new baby in the house, and order a special ornament! A baby’s first Christmas is such a magical one! Help celebrate by purchasing a personalized snowbaby ornament from Miles Kimball this year! You’ll have it to hang on the tree for future Christmases to come, and it will always remind you of their very first Christmas. If your friends or family members just had a baby, this is the perfect Christmas gift! They will definitely be appreciative and happy to open it, especially if they didn’t think to buy a baby’s first Christmas ornament themselves! 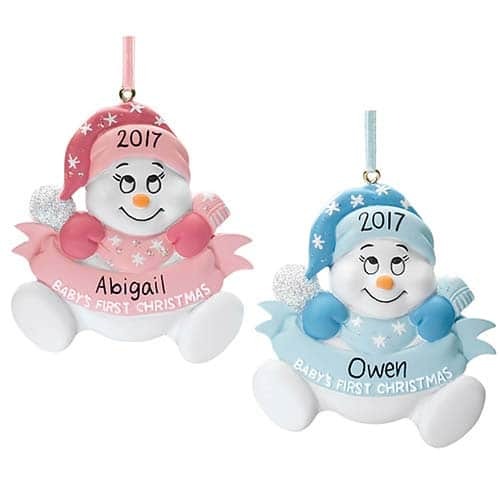 With the handpainted baby’s name, year, and “baby’s first Christmas” written on a cute snowman baby, this is a precious gift! Available in light pink or light blue baby clothing, this adorable mini snowman ornament has the cutest face and is ready to be painted by hand to your specifications. Just list the name of the baby, no more than 12 letters and spaces, and your tree will be adorned by this precious ornament, handpainted with the year of the baby’s birth. 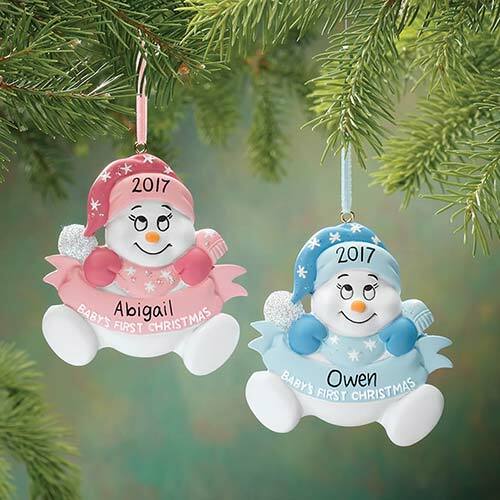 Order the Personalized Snowbaby’s First Christmas Ornament now to have for this Christmas, and to create some nostalgic Christmas memories for years later, celebrating your baby’s very first magical holiday season!